A soft and fluffy decorative throw pillow with a detailed Lisbon Portugal city street map design. 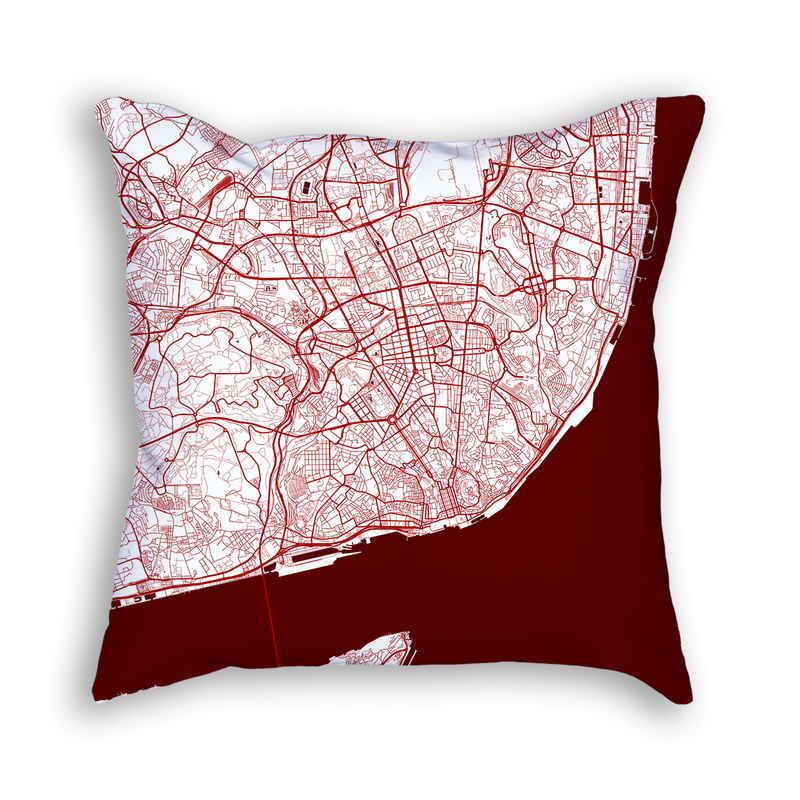 Stylish and unique decorative throw pillow with a detailed Lisbon Portugal city street map pattern in a colored design. Add color and an artistic touch to any room with this fluffy and soft decorative pillow. Please note that the color and visible extents of the map area may be slightly different from the illustration shown depending on your monitor’s color calibration.